After 15 years of dedication to this project, we are proud to announce the publication of two (2) Limited Edition Publications to honor the 100 year anniversary of "The Surf Riders of Hawaii"
• Done in co-operation with the Gurrey/Bayer/Murray families. 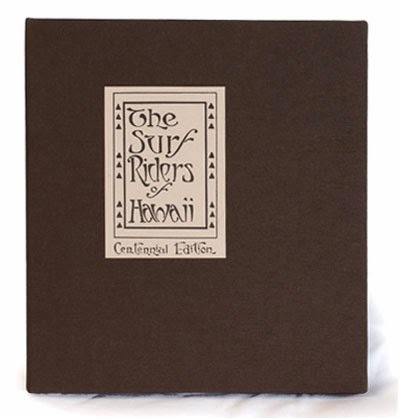 • Includes the restored "The Surf Riders of Hawaii". • Hand made to the original specifications. • All text restored to match the original craftsman style lettering. • All photos restored and printed using the "silver halide" method, as used by A.R. Gurrey Jr. in 1914. 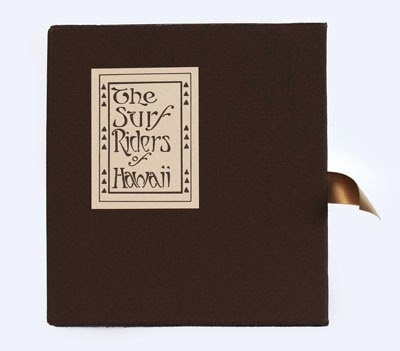 • Comes inside the "The Surf Riders of Hawaii" slip case, to protect your collectable. 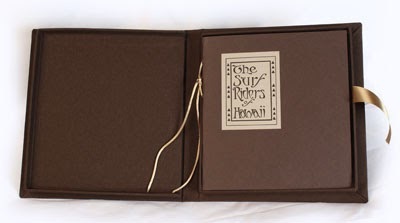 • A limited and individually numbered edition of 50 Hand Made books from Hawaiʻi with special SHACC Certificate. 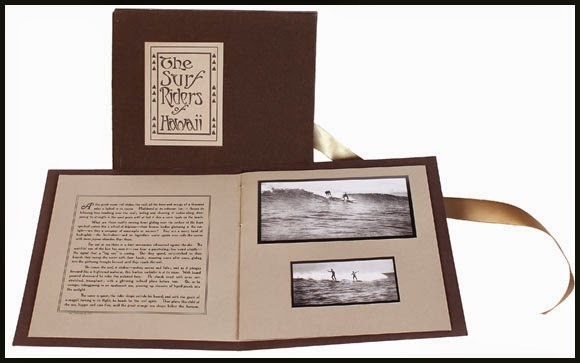 • Includes 2 books: The restored "The Surf Riders of Hawaii" and "The Life & Times of A. R. Gurrey Jr." by Joel T. Smith & Sandra K. Hall, with new information on Gurrey. Including five restored photos by A. R. Gurrey Jr., including "The Duke Diving, shown above." • Comes inside the "Centennial Edition" presentation box, to protect your collectable. 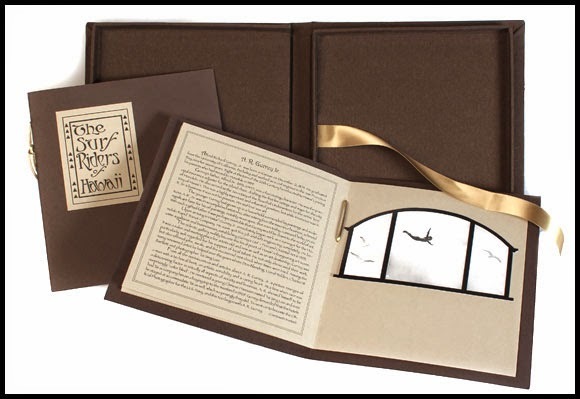 • Limited and individually numbered edition of 50 Hand Made books from Hawaiʻi with special SHACC Certificate. To order either edition, CLICK HERE. In this photo, you can compare an original 1912 "Gray" version of the book with the new the restored version. "Hana Hou" the magazine of Hawaiian Airlines featured an article on A. R. Gurrey Jr. and the "The Surf Riders of Hawaii, Centennial Edition".